The so-called gunpowder-mites, which occasionally cause damage in mushroom beds, are actually springtails. They breed continuously under favourable conditions and vast numbers sometimes aggregate on the compost in mushroom houses. 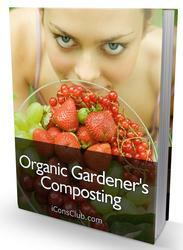 The insects will then cause significant damage by feeding on the fungal mycelium and thus retarding growth. They may also attack the sporopores, to form characteristically dry pits which lead to internal channels in the stipe and cap (cf. damage caused by mould mite, Tyrophagus putrescentiae, p. 270); the pests are especially destructive to button mushrooms and often cause them to split open. Adults (Fig. 178) are minute (1.0-1.5mm long), bluish-black, purplish or greenish-black, with a pale underside, short, 4-segmented antennae and a short, 2-segmented saltatory appendage. Several species of Onychiurus are damaging to cultivated plants. They attack the roots and cause seedlings to collapse and die. In glass houses, significant damage is sometimes noted on cucumber, lettuce, tomato and various ornamentals. Damage also occurs on outdoor crops such as bean, carrot, celery, pea, potato and sugar beet. The springtails form minute pits in the roots, and damaged tissue soon turns black; they may also attack the cotyledons and hypocotyl, and sever the fine roots and root hairs (see also damage caused by pygmy mangold beetle, Atomaria linearis, p. 135). On older plants, leaves in contact with the soil surface may be pitted or skeletonized; such damage is often noticed on lettuce and potato. Springtail damage to the roots will also allow pathogenic fungi to gain entry, increasing the significance of attacks. These springtails, which lack a saltatory appendage and are unable to jump (cf. 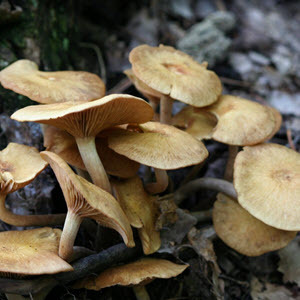 family Sminthuridae, below), are often abundant in wet, organic soils or compost. Development from egg to adult extends over several months but breeding is continuous, so long as conditions remain favourable. Adult up to 3 mm long, white, stout-bodied with six abdominal segments; head large; antennae and legs short; saltatory appendage absent. Nymph similar to adult but smaller. Infestations of this generally common springtail occur mainly on wet, acid soils. The insects make small pits in the cotyledons and hypocotyl of seedlings of various plants; feeding damage may also occur on young leaves. Attacks, which are usually of greatest significance before July, occur both in the open and in glasshouses. Outdoor crops affected include beet, mangold, potato and radish; this springtail is also a serious seedling pest in conifer nurseries. This species inhabits the soil surface and, although breeding throughout the year, is usually most numerous from late April to the end of June. Eggs are deposited in small groups in the soil, up to 100 eggs being laid by each female. The rate of nymphal development varies according to conditions and may be protracted but, under favourable conditions, the adult stage is usually attained within 2-3 months. Adult 1.5 mm long, mainly black to dark green but often spotted with white; head large, with black, yellowish-bordered eyes; antennae long and geniculate; abdomen globular, with a small, tube-like ventral sucker and a forked saltatory appendage. Although associated mainly with clover and lucerne, this widely distributed springtail also occurs on various other crops, including cereals, cucumber, grasses and lettuce. Damage is usually limited to the production of small holes in the cotyledons of seedlings but is sometimes more extensive; leaves of young plants may then become skeletonized. 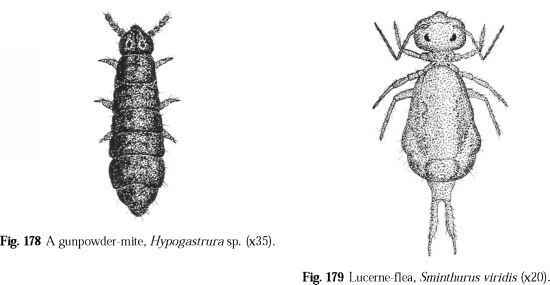 Although reported as an important pest in Australia, the lucerne-flea is usually of little or no economic significance in Europe. This species breeds continuously whilst conditions are favourable, eggs being deposited in the soil in batches of up to 60. The eggs hatch within a few days but hatching may be delayed in dry conditions. The nymphs feed for 1-3 months before becoming adults. Adult 2-3 mm long; body greenish and globular; saltatory appendage forked and well deve loped; antennae long and geniculate (Fig. 179). Egg 0.3 mm in diameter, globular, whitish-yellow. Nymph similar to adult but smaller.